Chalcedony is a quartz, specifically a microcrystalline (the crystals are too small to be seen by any other means other than high magnification) quartz. The term chalcedony is derived from the name of the ancient Greek town Chalkedon in Asia Minor, in modern English usually spelled Chalcedon, today the Kadıköy district of Istanbul. It is usually sold as Chalcedony if translucency is visible and of a single color. Other microcrystalline sold under various names which do not meet the before stated criteria. Visually Chalcedony is the finer specimen. An example stone not meeting the criteria is Jasper; a close relative, (please see the blog on Quartz). Chalcedony comes in a variety of colors and is most known for its sky blue. Initially a far better stone in the 12 foundations to illuminate the heavenly blue skies I imagined. Upon soliciting stones from all over the world, it was the blue which I requested unknowing then, it was the wrong color. My collection of carat weight Chalcedony in rough and faceted form is vast in the blue colors. I only found within the last year that it was the red I needed for accuracy in the mystery I have uncovered about the foundation stones which have been missed throughout all time! A more opaque, red chalcedony; otherwise known as Carnelian, owes its red to color to hematite (iron oxide). Sardius, the 5th stone is also Carnelian but more orange than red. Chalcedony has been used as an ornamental throughout time all over the world in carvings and jewelry and is known by several names including: Agate, Bloodstone, Carnelian, Chrysoprase, Onyx, Sardonyx, Plasma, Sard, among other names. Interestingly enough several of these stones are mentioned within the 12 foundations of the New City. Many of the stones are related, or very closely related in fact. Through research, the stones are related to agates and the red Chalcedony a.k.a Carnelian, Sard, Sardius, Sardonyx are artisically just different shades of reds and oranges. Culturally the stone was used as a sacred stone by Native Americans which helped to promote stability within the ceremonial activities of the tribe. Chalcedony is said to augment emotional balance, vitality, stamina, endurance, kindness, charity and friendliness. It is said to aid in prevention and curing of melancholy and driving away evil spirits, and a preventive of danger during sinister events. It is known as an antinflamatory, lowers fever, helps the eyes, eliminates fluid retention, decreases blood pressure, helps the body with changes in temperature. Although found worldwide, the main sources are: U.S., Brazil, southwestern Africa, Madagascar, India, Morocco and Uruguay. Chalcedony is one of the earliest materials used by humans; flint is a form of chalcedony, and these hard stones were made into weapons and tools. Hot wax does not stick to chalcedony, so seals were made of it in ancient times. India, officially the Republic of India (Hindi: भारत गणराज्य Bhārat Gaṇarājya; see also in other Indian languages), is a country in South Asia. It is the seventh-largest country by geographical area, the second-most populous country with over 1.18 billion people, and the most populous democracy in the world. Bounded by the Indian Ocean on the south, the Arabian Sea on the west, and the Bay of Bengal on the east, India has a coastline of 7,517 kilometres (4,700 mi). It is bordered by Pakistan to the west; China, Nepal, and Bhutan to the north; and Bangladesh and Burma to the east. India is in the vicinity of Sri Lanka, and the Maldives in the Indian Ocean. Home to the Indus Valley Civilisation and a region of historic trade routes and vast empires, the Indian subcontinent was identified with its commercial and cultural wealth for much of its long history. Four major religions, Hinduism, Buddhism, Jainism and Sikhism originated here, while Zoroastrianism, Judaism, Christianity and Islam arrived in the first millennium CE and shaped the region’s diverse culture. Gradually annexed by the British East India Company from the early eighteenth century and colonised by the United Kingdom from the mid-nineteenth century, India became an independent nation in 1947 after a struggle for independence that was marked by widespread non-violent resistance. 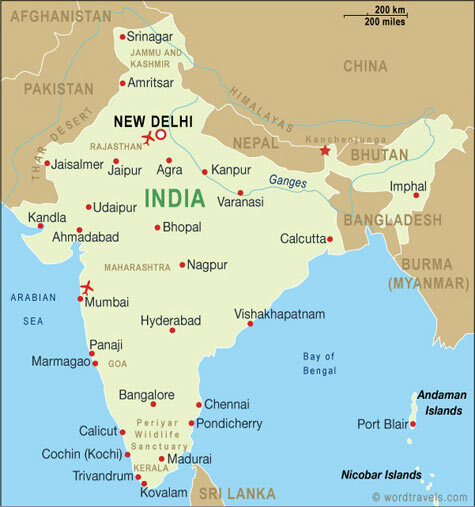 India is a republic consisting of 28 states and seven union territories with a parliamentary system of democracy. The Indian economy is the world’s eleventh largest economy by nominal GDP and the fourth largest by purchasing power parity. It has the second-largest standing army in the world. Economic reforms since 1991 have transformed it into one of the fastest growing economies in the world; however, it still suffers from poverty, illiteracy, corruption, disease, and malnutrition. India is a nuclear weapon state and has the tenth-largest military spending in the world. A pluralistic, multilingual and multiethnic society, India is also home to a diversity of wildlife in a variety of protected habitats. In the 20th century, a nationwide struggle for independence was launched by the Indian National Congress and other political organisations. Indian leader Mahatma Gandhi led millions of people in several national campaigns of non-violent civil disobedience. On 15 August 1947, India gained independence from British rule, but at the same time the Muslim-majority areas were partitioned to form a separate state of Pakistan. On 26 January 1950, India became a republic and a new constitution came into effect. Since independence, India has faced challenges from religious violence, casteism, naxalism, terrorism and regional separatist insurgencies, especially in Jammu and Kashmir and Northeast India. Since the 1990s terrorist attacks have affected many Indian cities. India has unresolved territorial disputes with the People’s Republic of China, which in 1962 escalated into the Sino-Indian War, and with Pakistan, which resulted in wars in 1947, 1965, 1971 and 1999. India is a founding member of the United Nations (as British India) and the Non-Aligned Movement. In 1974, India conducted an underground nuclear test and five more tests in 1998, making India a nuclear state. Beginning in 1991, significant economic reforms have transformed India into one of the fastest-growing economies in the world, increasing its global clout. Many Indian festivals are religious in origin, although several are celebrated irrespective of caste and creed. Some popular festivals are Diwali, Ganesh Chaturthi, Ugadi, Thai Pongal, Holi, Onam, Vijayadashami, Durga Puja, Eid ul-Fitr, Bakr-Id, Christmas, Buddha Jayanti and Vaisakhi. India has three national holidays which are observed in all states and union territories — Republic Day, Independence Day and Gandhi Jayanthi. Other sets of holidays, varying between nine and twelve, are officially observed in individual states. Religious practices are an integral part of everyday life and are a very public affair. Officially the Kingdom of Morocco (المملكة المغربية, al-Mamlakah al-Maġribiyya), is a country located in North Africa. 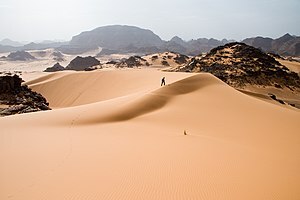 It has a population of nearly 32 million and an area of 710.850 km², including the disputed Western Sahara which is mainly under Moroccan administration. Morocco has a coast on the Atlantic Ocean that reaches past the Strait of Gibraltar into the Mediterranean Sea. It is bordered by Spain to the north (a water border through the Strait and land borders with three small Spanish exclaves, Ceuta, Melilla, and Peñón de Vélez de la Gomera), Algeria to the east, and Mauritania to the south. Morocco is a de jure constitutional monarchy with an elected parliament. The King of Morocco, holds vast executive powers, including dissolving parliament. Executive power is exercised by the government. Legislative power is vested in both the government and the two chambers of parliament, the Assembly of Representatives and the Assembly of Councillors. Parliamentary elections were held in Morocco on 7 September 2007, and were considered by observers as mostly free and fair. Though voter turnout was estimated to be 37%, the lowest in Moroccan political history. 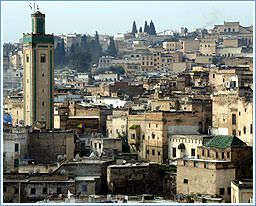 The political capital is Rabat, and the largest city is Casablanca; other large cities includes Fes, Salé, Agadir, Marrakesh, Tangier, Meknes, Oujda and Tetouan. The history of Morocco spans over 12 centuries, and the country was first unified by the Idrisid dynasty in 780, representing the first Islamic state in Africa autonomous from the Arab Empire. Under the Almoravid dynasty and the Almohad dynasty, Morocco dominated the Maghreb and muslim Spain. The Reconquista ended Almohad rule in Iberia and many muslims and Jews migrated to Morocco. Under the Saadi Dynasty, Morocco would consolidate power and fight off Portugese and Ottoman invaders, as in the battle of Ksar el Kebir. The reign of Ahmad al-Mansur brought new wealth and prestige to the Sultanate, and an invasion of the Songhay Empire was initiated. However managing the territories across the Sahara proved to difficult. After the death of al-Mansur the country was divided among his sons. In 1666 the sultanate was reunited by the Alaouite dynasty, who have since been the ruling house in Morocco. The organization of the state developed with Ismail Ibn Sharif. With his Black Guard he drove the English from Tangier (1684) and the Spanish from Larache (1689). The Alaouite dynasty distinguished itself in the 20th century by maintaining Moroccan independence while other states in the region succumbed to European interests. In 1912, after the First Moroccan Crisis and the Agadir Crisis, the Treaty of Fez was signed, effectively dividing Morocco into a French and Spanish protectorate. In 1956, after 44 years of occupation Morocco regained indepedence from France as the Kingdom of Morocco. The people of morocco speak arabic, wich is the countries official language. They use the Moroccan dirham for their currency. the population is, 33,241,259. that is the thirty seventh largest in the world. Morocco is under the poverty line. The television rate is 243 per 1000 houses. Islam is the official religion in Morocco.In Morroco freedom of religion is generally allowed, with some exceptions. Moroccans are allowed to believe in other faiths. However, restrictions apply to Christian converters and political activities under the law of Islam. There is still a Moroccan Jewish community, although most Jews emigrated from Morocco in the past starting the begining of Israel in 1948. 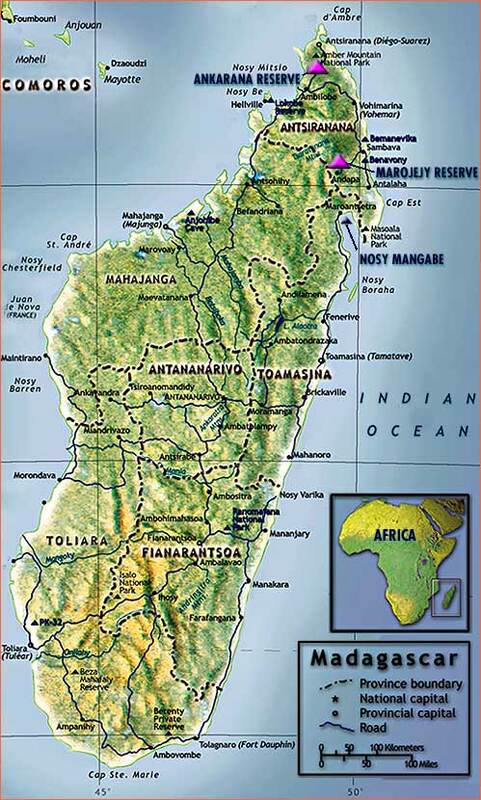 Madagascar, or Republic of Madagascar (older name Malagasy Republic, French: République malgache), is an island nation in the Indian Ocean off the southeastern coast of Africa. The main island, also called Madagascar, is the fourth-largest island in the world, and is home to 5% of the world’s plant and animal species, of which more than 80% are endemic to Madagascar. They include the lemur infraorder of primates, the carnivorous fossa, three bird families and six baobab species. Two-thirds of the population live below the international poverty line of US$1.25 a day. Although the present head of State has self-proclaimed himself, Madagascar is usually a semi-presidential representative democratic republic, whereby the Prime Minister of Madagascar is head of government, and of a pluriform multi-party system. Executive power is exercised by the government. Legislative power is vested in both the government and the Senate and the National Assembly. The Judiciary is independent of the executive and the legislature. 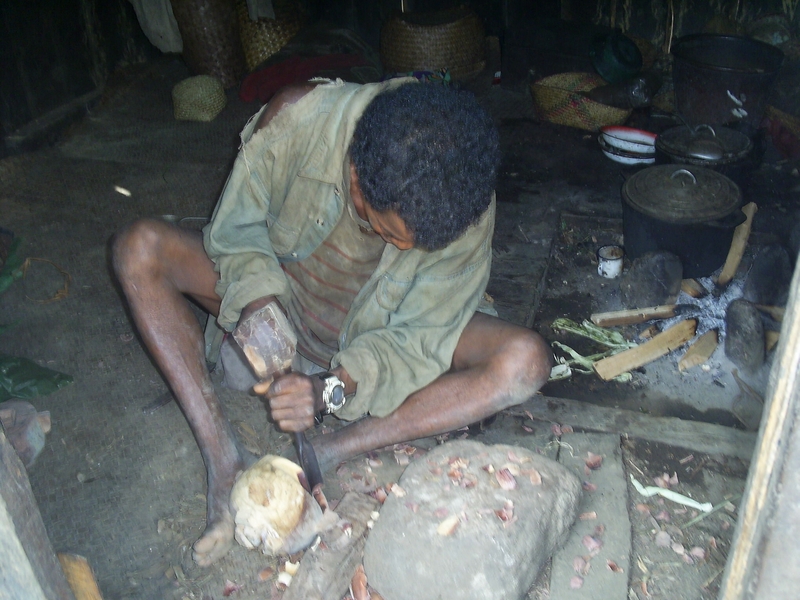 The political situation in Madagascar has been marked by struggle for control. After Madagascar gained independence from France in 1960, assassinations, military coups and disputed elections featured prominently. Didier Ratsiraka took power in a military coup in 1975 and ruled until 2001, with a short break when he was ousted in the early 1990s. When Marc Ravalomanana and Ratsiraka both claimed victory after presidential elections in December 2001, Ratsiraka’s supporters tried to blockade the capital, Antananarivo, which was pro-Ravalomanana. After eight months of sporadic violence with considerable economic disruption, a recount in April 2002 led the High Constitutional Court to pronounce Ravalomanana president, but it was not until July that Ratsiraka fled to France and Ravalomanana gained control of the country. The Indian Ocean island of Madagascar has gained strategic value in recent years not only because of its geographical positioning in America’s “war on terror”, but also its vast untapped deposits of mineral wealth, some of the richest in the world. Apart from sapphires, there are rubies, garnets, amethysts, aquamarines and zircons. Precious stones provide more income than all other industries put together. There are also other minerals – titanium, aluminium and graphite – as well as offshore oil. Yet Madagascar is one of the poorest countries in the world, with 72 per cent of the population living below the poverty line. Lack of clean water and sanitation remains one of the biggest problems, and the island has become a focal point for projects by the international charity, Water Aid. Choose your battles wisely. It is far better to die standing than to live life down on your knees or sitting in a movie theater, or reading a fan magazine…Think before you buy, think before you support, make a difference with the life you’ve been given!